I hope everyone’s celebrations of the holidays were joyful and that your new year has started out with great expectations. Laura and I truly enjoyed being home for a little more than two weeks. Laura had some quality time to reconnect with her family since we were in Atlanta in September for the wake and funeral of her younger sister. Nancy is well remembered. Her spirit was certainly felt as we gathered around family tables at Christmas and the New Year. Though we only saw them briefly for four days after the New Year, Laura’s children are doing wonderfully. We travelled to upstate New York on the weekend after Christmas and visited all of my brother’s fast expanding family. Last year I only had five grand nephews and nieces. This year I have eight, two beautiful, identical twin sisters, Ava and Sonia, and Justine, their cousin. Laura’s family has yet to begin the next generation, but Laura’s nephew Chris and his wife Kaitlin proudly passed around an ultra sound image that assures us all that soon a new epoch will begin. This abundance of life and love that surrounds us in our families is so sacred. I suppose we all could do better at recognizing what is really important as compared to some of the trivial things that often disproportionately occupy our time. Laura and I really hit the jackpot with our housing arrangements while in the States. Through the internet, a service called Airbnb, we rented a room in someone’s home in Springfield for $30 a night. Good deal in and of itself, but it turns out that the owner decided to leave and stay in Oklahoma City for the whole time we were there. We had his whole house to ourselves. We enjoyed all the amenities we usually lack in Honduras. 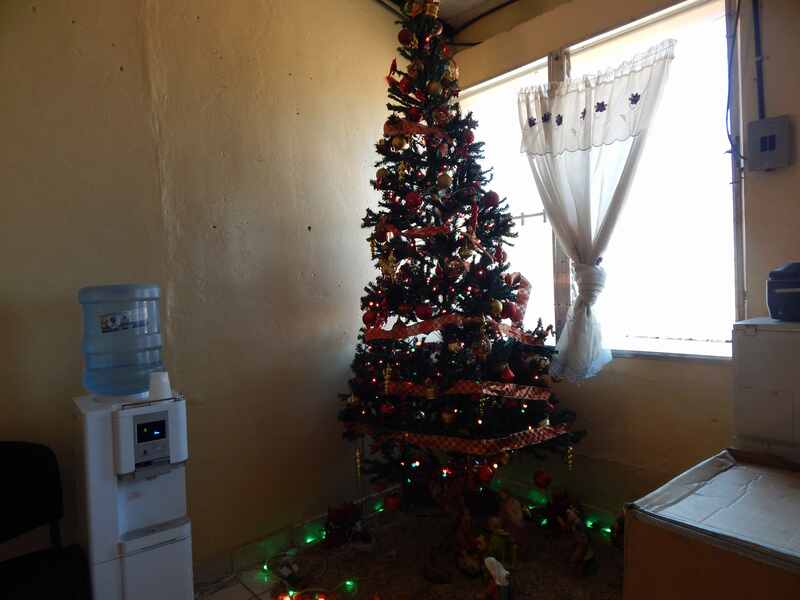 We relished non-contaminated running water 24/7, full power electricity that didn’t go out, reliable internet, the ability to flush toilet paper down the toilet, and cable. Even with all of that, I was annoyed that his cable service lacked ESPN and all the sports channels. I mean, it was the college bowl season. I tried to laugh at myself as if my complaint was really just sarcasm. I live in a country where people feel fortunate to eat rice and beans seven days a week, and still I would complain that I can’t see the Rose Bowl? Silly, right? But my complaints, seemingly offered tongue in cheek, had a ring of truth in them. I certainly felt that I had the right to watch sports as an American in America. So much for my canonization campaign. In the US there is just so much choice, so many gadgets and toys, aisles of soap detergent and toiletries, and billions of commercials for miracle products that will make your life perfect. Why shouldn’t I get some of that? When I’m there, I’m like everyone else. I want it all. That’s why I like being here so much. The choices just aren’t here. Because they’re not here, I don’t want them. And because I don’t want them, I’m content. Hopefully, maybe just a little, I can figure out what is really important when all the noise and distraction is taken away. Laura and I did not exchange Christmas presents this year. We managed something of a token gift for our friends and family. But they were very small; symbolic expressions of our love and gratitude. I think they were well received. Many people were very generous with us and we were certainly grateful. Mostly we enjoyed having some time with everyone with whom we hoped to have time. Monday was Laura’s birthday. I published it on Facebook and she received a plethora of Happy Birthdays. We asked a few friends over on Tuesday night, a simple, humble gathering. We wanted to keep it very small because, even though our house is ample in space, we only have six chairs and a couch. The party was scheduled for six pm., but at four-thirty one of the invitees called and asked if she could bring three more of the doctors from the clinic. 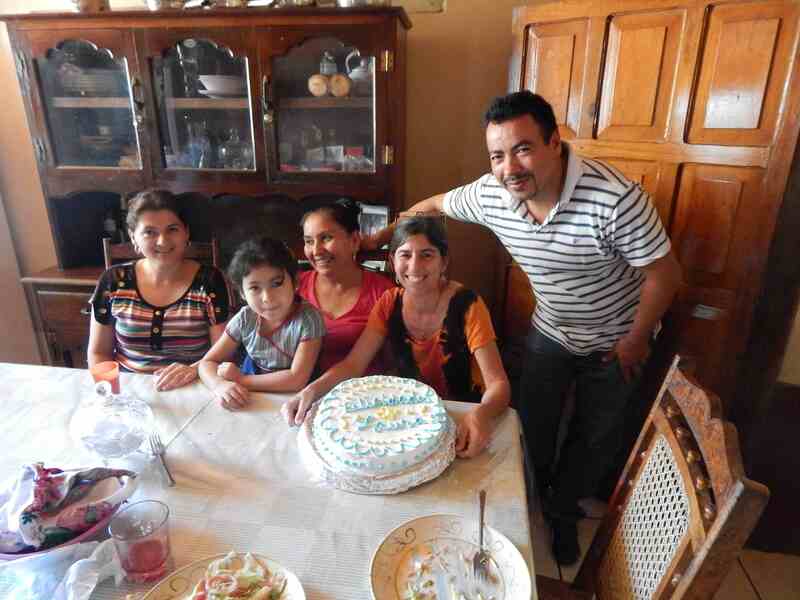 Knowing that in Honduras there is always room for more people, we agreed. We ordered Chinese take-out from the same restaurant that saved our Thanksgiving meal. He had plenty of fried rice. He told me he could make fried chicken or a beef dish if I would come back tomorrow. “But the party’s tonight,” I said. We settled for pupusas. That is a typical Honduran dish; a mass of corn meal, infused with cheese, squashed into a pancake, and fried. Not exactly what I had in mind. But the ten of us, six in straight back chairs and four squeezed onto the couch that barely sits three, ate well and heartily laughed at our ‘Chinese’ cuisine. I felt like I had let Laura down because I had no cake. 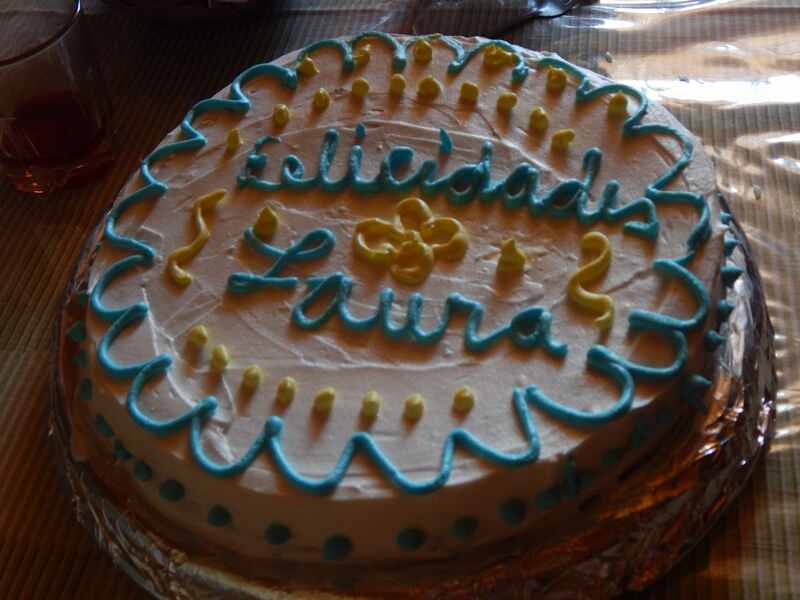 The previous day in the neighboring town a family learned it was her birthday and surprised us with a cake, “Congratulations, Laura” etched in icing. All I had was an assortment of Hostess style cakes (imitations of the good ones you are used to in the States) that I purchased at one of the local snack stores. But we put a candle in the middle of the tray, sang Happy Birthday in Spanish and English, and she blew out the candle. Though it was hardly a butter cream marvel, we all seemed to enjoy it. Everyone was smiling and having a good time. What more could we want? All but three guests left. Those three would be traveling with us on an early morning bus, so we put them up. One had a bed and a mattress (luxury), one had a mattress on the floor (acceptable), and the third got the 3-4 seater couch (at least it’s a horizontal cushioned surface). I didn’t turn on any sports because we don’t have cable. Actually, we don’t even have a television. Oh well, I don’t think I really missed it that much.